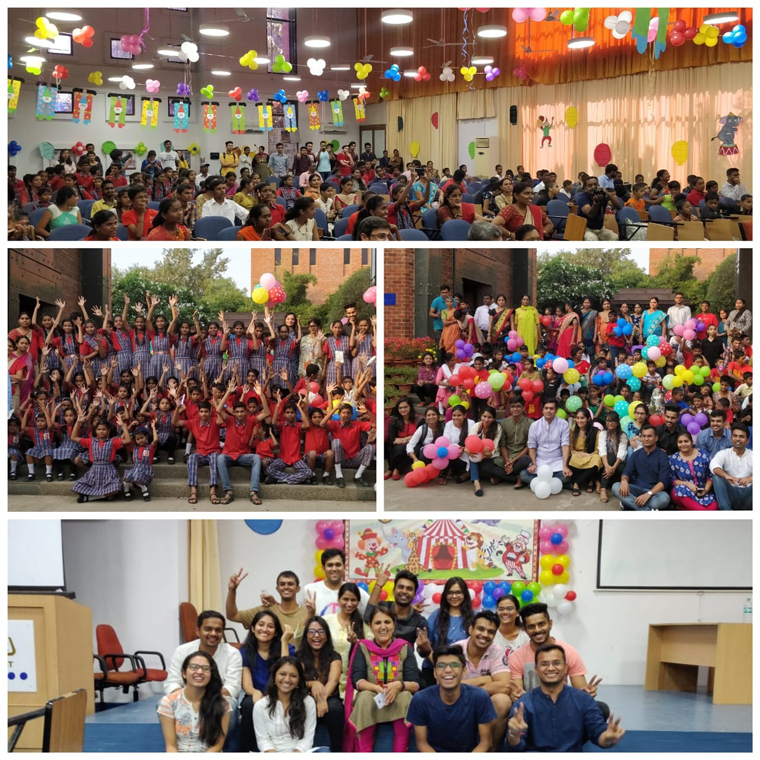 Utthaan, the Corporate Social Responsibility (CSR) Committee of IMT, Nagpur organised ‘Kilkari’ on October 25, 2018. The initiative was started as the annual day celebration for the specially-abled children in the year 2011. It witnessed enthusiastic participation from the students of Prerna School, Kalmeshwar and Deaf and Dumb Residential School, Savner. The event commenced with Saraswati Vandana followed by the lightning of the lamp by the Director Dr Subhajit Bhattacharyya and other faculty members. Thereafter, the Director, Dr Jaganath Mohanty, Dr Abhishek Narain Singh and Prof Milind Fadnavis delivered a heartwarming speech and felicitated the school representatives of the participating schools. The day witnessed energetic and mesmerising performances from the students of Prerna school and Deaf and Dumb Residential School, Savner. A Mime performance was also presented by the student of Prerna School which delivered a beautiful social message. There was a blend of performances by Zimfonia, the Music Forum and Hypnotics, the Dance Forum of the Institute which captivated the crowd. With this event, children got the opportunity to showcase their creative skills through beautiful Rangoli artworks and dances. The event concluded with the prize distribution ceremony. The smiling faces of the children despite all odds, left a positive impact on the lives of the crowd. Under the guidance of Dr Saleena Khan and the efforts of the CSR committee members, the event turned out to be a great success.